Furniture Row Racing announced on Wednesday that it will return to being a one-car operation in 2018. 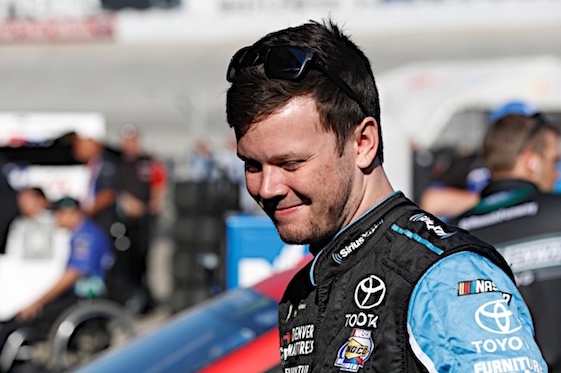 The team became a two-car operation this year with the hiring of Erik Jones to drive the No. 77. Through 30 races this season, Jones has won one pole but no races – that coming at Bristol seven races ago. In that race, Jones finished second – his best finish of the season. In all, he has 12 top-10 finishes. Teammate Truex has six wins this year and 21 top-10s and remains in the Cup Playoffs. Jones is headed to Joe Gibbs Racing, a sister program to Furniture Row, to take the seat being vacated by veteran Matt Kenseth.